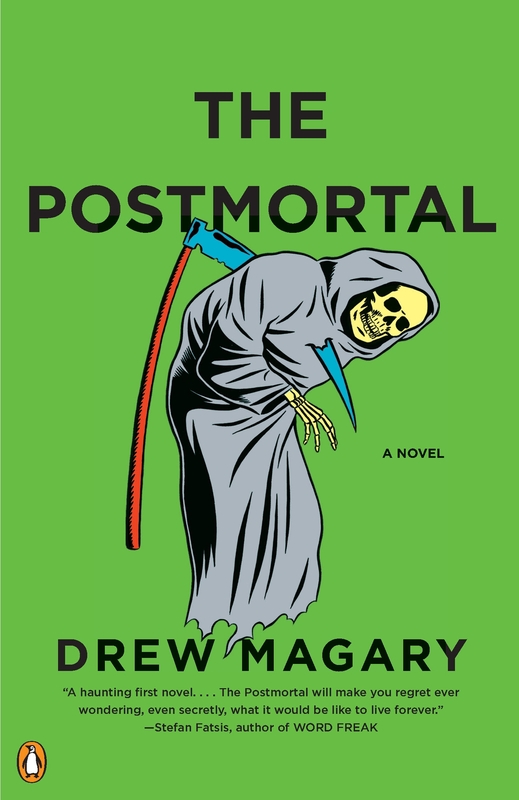 Called “dark, funny, and terrifying” by New York contributing editor Will Leitch, THE POSTMORTAL, by Deadspin writer Drew Magary, documents what living forever might look like. The year is 2019 and a cure for aging has been discovered. After much political and cultural debate “The Cure” is made available to populations worldwide. Through fast-paced journal entries and blogger-style news story roundups compiled by an ever-watchful New York lawyer, John Farrell, readers experience a world where age-related diseases and deaths disappear altogether. But there are residual effects and THE POSTMORTAL forces us to rethink our idea of marriage if rendered indefinite and the allocation of precious resources in a world with exponential population growth. Ideological divisions manifest themselves in chilling ways in this new environment, introducing “pro death” anarchists who inflict ghastly punishments on those who dare to remain young. With the apocalypse on the horizon and regret creeping into everyday lives, living forever, as it turns out, isn’t all it’s cracked up to be. Clever, haunting, and culturally scathing, THE POSTMORTAL is a gripping read and a creative addition to the genre of speculative fiction. In 2003, Cathy Davidson, then Duke University’s Vice Provost for Interdisciplinary Studies, helped spearhead the school’s effort to provide free iPods to every member of the incoming freshman class. No one expected the uproar their decision provoked. Critics decried it as wasteful and irresponsible—what educational value could a music player have for college kids? Yet by the end of the year, and nearly 2,000 iPods later, Duke students had found academic uses for iPods in virtually every discipline, from environmental science majors who used them to conduct and edit interviews for documentaries, to medical students who used them to identify heart arrhythmias during patient’s exams. The iPod experiment proved to be a classic example of the power of disruption—a way of adopting changing technology, refocusing attention and exploring new possibilities. 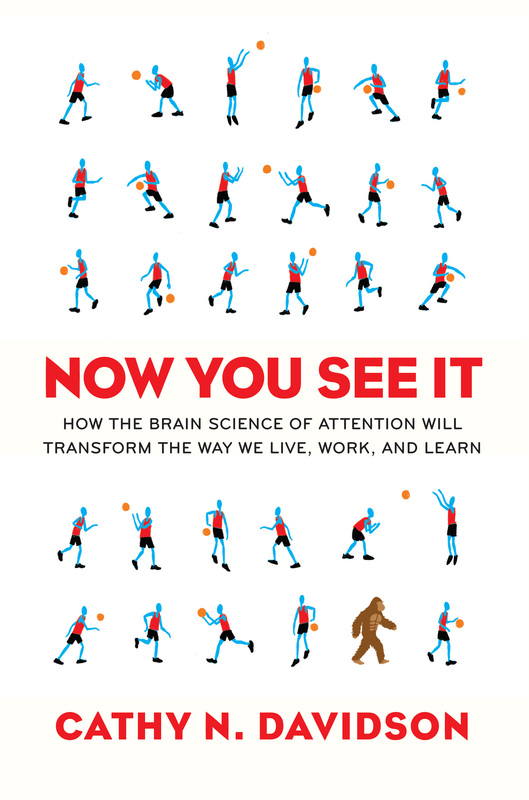 This idea is at the heart of Davidson’s brilliant new book, NOW YOU SEE IT: How the Brain Science of Attention Will Transform the Way We Live, Work, and Learn . Using cutting-edge research on the brain, Davidson shows how the phenomenon of “attention blindness” shapes our lives, and how it has led to one of the greatest problems of our time: we have embraced technologies that have transformed our lives and our work, but our institutions remain unchanged. The result: while we handily blog, tweet, and text, many of us still toil in schools and workplaces designed for the Industrial Age and measure our success by standards that are no longer relevant. Cathy N. Davidson served from 1998 until 2006 as the first Vice Provost for Interdisciplinary Studies at Duke University, where she worked with faculty to help create many programs, including the Center for Cognitive Neuroscience and the program in Information Science + Information Studies (ISIS). She is the co-founder of Humanities, Arts, Science, and Technology Advanced Collaboratory, HASTAC (“haystack”), a network of innovators dedicated to new forms of learning for the digital age. She is also co-director of the $2 million annual HASTAC/John D. and Catherine T. MacArthur Foundation Digital Media and Learning Competition. Davidson is the John Hope Franklin Humanities Institute Professor of Interdisciplinary Studies at Duke University. She has published more than 20 books, including Revolution and the Word: The Rise of the Novel in America, Closing: The Life and Death of an American Factory (with photographer Bill Bamberger) and The Future of Thinking: Learning Institutions in a Digital Age (with HASTAC co-founder David Theo Goldberg). She blogs regularly on new media, learning and innovation on the www.hastac.org website as “Cat in the Stack” as well as on www.dmlcentral.com and Psychology Today.com. In December 2010, President Obama nominated her to the National Council on the Humanities.